YouTube has over a billion users worldwide. So, it’s essential to make a YouTube channel if you want to build a following for your brand, globally. 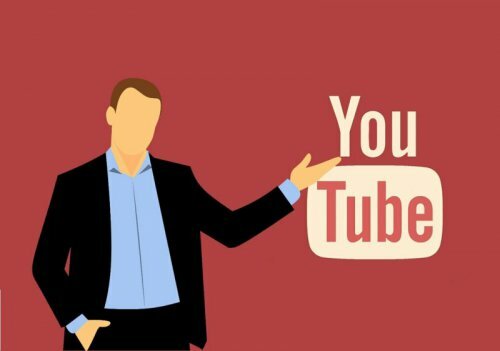 But with so many video formats present in the niche, it formulates as a struggle to know which YouTube video idea will be the best and supportive for your brand. Well, struggle no more! Jigsaw has assembled a list of the most creative YouTube video ideas in almost every niche. It’s ranging from general videos to gaming videos. Give your introduction video. Who are you? What do you do? What’s the first thing that the people should know about you? How you developed the concept of a YouTube Channel? This is the video where you can answer all these questions and make your viewers know about you. Make a quick channel intro that outlines the kind of thing you’ll be doing or providing through your channel. This will clear the agenda of your YouTube channel. Response videos are the responses or the viewpoints that you can portray about another YouTube videos in the form of visual interpretation. Go with vlogging as it is trending and becoming popular day by day. Basing your channel entirely on vlogs won’t do you well in the long run, but initiating some of your videos with vlogs will give your fans an idea of how you got started. You can upload your reviews about a product or a show or episode or movie or something else. People like hearing what other people think about various things, especially if they’re on the verge of buying or seeing it. What’s On My Phone? Everyone has apps on their phone, but no two phones possess similar apps. What apps do you use, and why? This might be useful for many androids or iPhone users depending upon the phone you use. Show off your Collection. It might be of bottle caps, old coins, cards or vintage postal stamps. Showing off a collection of items that you hold nigh to your heart can make a good impression on your viewers. Friend videos are popular on YouTube. A video with them can make the viewers feel like they’re a part of your group who are chilling out with you. If you can take your camera along with your friends and do some good editing, your viewers will feel the authenticity in your day out. Post a raw gameplay which is just the footage of you playing a game, with no editing or additions. It’s simple and raw, but sometimes it’s what people are looking for. People might want to see some particular bits of a video game without playing the whole actual game. So, record and post the cutscenes for them to quickly browse their choices. The quicker you are to this after a game’s release, better it is for the growth of your subscribers. Show Off a Speed Run. A speed run is a full play of the game which is done as quickly as possible. It often skips many levels so as to reach the game’s ending so as to accomplish the Speed Run. People actually spend a lot of amount on video games. Because of this, they want to know about the worth of game before they buy it. So, feel free to make game reviews. In this way, you’re helping out your fellow gamers which will allow authentic gamers to follow you. Many games have advanced mechanics that are difficult for the newcomers to learn. Make a video demonstrating the same. Any game which has a competitive spirit may have some of its best and brightest players. Find the people who are best at your favorite game, and make a video discussing them and their style of playing the same. Make in-game comedy scripts. Record your gameplay, edit it to highlight specific funny moments and also you can add commentary with your audio. Show off Graphics Settings. If you’re a PC gamer, you may enjoy many customizable games. Show off those games at their highest possible settings. You may have an old family recipe that can share with the world. A great YouTube cooking video would be to show people how to cook a particular dish. Talk about philosophical concepts. What does life mean to you? What’s your motive in life? What are your ideologies? Explain about some scientific concepts. Make Mathematics tutorial whereby you can explain various formulas and the steps of solving a problem. You may discuss historical writers who have laid the foundation of literature. Make a biographical video on an interesting historical figure who has achieved a lot in his times. Discuss Time Management. Many people have difficulty in managing work and leisure. Teaching people those managerial and organizational skills sounds great for a YouTube video. Explain how certain tools or gadgets work. Review about your gadgets. It might be on your phone or laptop or tablet. Talk about the latest processors. Audiophiles are a neglected part of the tech community. So, talk about audio technology. Sometimes people have factual questions about phones, computers or technology. Answer it to the best of your ability, and see what you can do increase your subscribers. What’re your favorite apps and programs that you use in your phones or laptops, and why? Use these YouTube video ideas to explore that. Setting up a computer or desk or server can be tough. Make a tutorial video showing off how to do that. This can help a lot of not so techno-savvy people.